When you need to grab a quick bite or sip a cool soda, head to the Palmita Deli & Market located near the lobby entrance of Villa del Palmar. 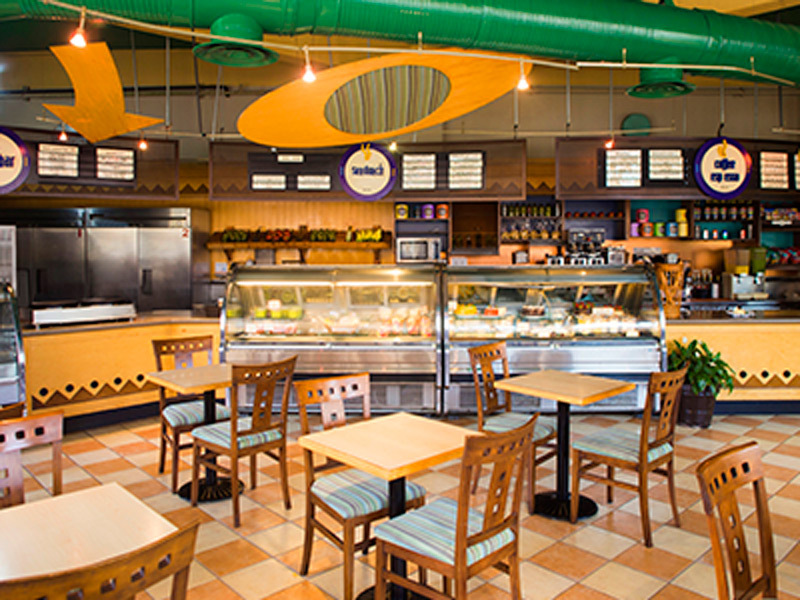 Designed for your convenience, the Palmita Deli & Market offers a wide variety of sandwiches, salads, wraps, muffins and snacks meant for eating in or taking out. This is also the perfect hangout for coffee lovers -- get your mocha cappuccino and our specialty: the mint vanilla cappuccino. Open daily 7:00 a.m. to 10:30 p.m.